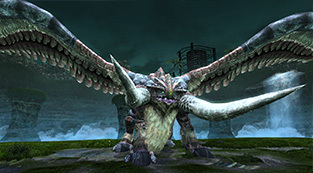 The Gal Gryphon makes its triumphant return in an all-new Limited Quest with this update! Watch it live on Nico Nico! 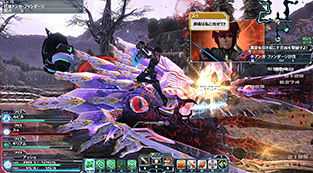 Information about PSO2’s August update. Live playthrough of the Kuronia field! Q&A corner with (Art Director) Mizuno and (Sound Director) Hideaki Kobayashi as special guests. Follow-up report on the PSO 15th Anniversary Project! More details on the Arks Festival and its merchandise. Subdue Za Oodan must be cleared in order to access the quest. [Naberius UL] timed abilities will not be effective here, but you could opt in using [Forest] timed abilities in their place. All timed abilities are ineffective in the Gal Gryphon boss arena. Can be cleared once per ship. Does not occur at random. Added potentials to some pre-existing weapons. My Shops have been adjusted to allow the sale of ★12 Weapons and ★11 Units. Purchase passes (obtained from the Recycle Shop) will be required when purchasing ★12 Weapons and ★11 Units. Purchasing a ★12 weapon will make them bound to owner. PSO2es players are currently restricted from purchasing or placing ★12 Weapons and ★11 Units on the market. However, they have plans to support this feature, some time during a future update. Active premium sets are required to obtain the passes. Some [★12 Weapons] and [★11 Units] will not qualify for these passes. Purchase passes for [★12 Weapons] can be obtained through Title Rewards. Added ★13 weapon drops to Dark Falz Elder and Loser. Edited the description of [Zero Effort] so that it’s a bit closer to [Zero Range Advance]’s explanation. This change has no impact on the way [Zero Effort] currently works. Relaxed some meseta costs for ★12 weapon grinding. Partially relaxed the maximum grind risk for ★12 weapons. Increased the success rates for ★12 weapon grinding. Lv. 71+ Apos Dorios and Apostle Dritzer will receive increased ★10 ~ ★11 weapon drop rates. Speak to Hans, Revelle, and Klotho. Let’s Investigate Together! Complete [Shironia Exploration] with Clara & Nix. Complete [Facility Exploration] w/ Clara & Kizika. Sega decided to hold a login campaign to thank everyone for all the support they’ve received! Players who log in on specific days will receive prizes sent straight to their Visiphone. These prizes can only be obtained on the day it’s scheduled for. See the chart below for more information. ※ Players have until 23:59 JST on the appointed day to receive the prize from the Visiphone. You can receive even more prizes based on the total number of days you logged in. In order to qualify for the current day, players must select a character and enter the lobby. If they were continuously logged in from the previous day, they must log into the game again to qualify for the current day. 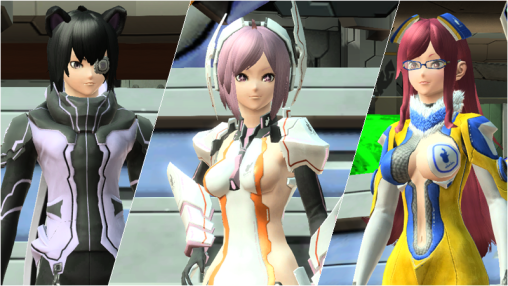 ※This campaign targets PSO2 logins. PSO2es logins do not qualify for the campaign. 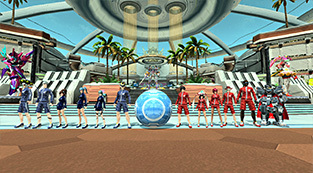 Purchase Premium Sets in PSO2 or with a linked PSO2es account to receive fantastic prizes, including Ragol Memories! Purchasing different premium sets during the campaign period qualifies you for each of the respective prizes. For example, by purchasing the 60 day and 90 day premium sets, you can receive nine Ragol Memories, five +100% Triboosters, and five Casino Coin Passes! Receive Ragol Memories and more by spending set amounts of AC during the campaign period! Complete collaboration character Clara’s client orders for prizes at the Visiphone! Returning players who haven’t logged in since May 13th’s maintenance will find a grand total 255 items awaiting them at the Visiphone! This campaign has been extended until July 15th! If those same players say ただいま in team chat during the campaign period, everyone in the team will receive a +100% Tribooster at a later date! Servers are up, tried to log in, only to discover and infinite loop loading screen. Yeah i got that too and after i restored the backups the game crashed at the login screen now i need to download the original files, 30mins to go. I think i will stop using the “patch” just like the proxy. At least the translator dude should edit the “PSO2 Patch Compatibility” to unknown or not working, but probaly he has better thing to do and don’t get enought money for it. Everything is fixed now, sorry for the holdup. Thank you for fixing the issue. Hope you don’t mind, there is some requests I like for Tweaker to translate. All information regarding client orders and NPC’s that dialog. That is all. pso2.exe not working T^T how can i fix it? The same happening to me, it happens when i chose a character. Any suggestion? This problem started cropping up for me too, but only *after* I’d played for a good chunk of hours and then quit the game. That does wipe your logs, symbolarts and whatnots so might wanna backup those first or something, plus resets a lot of your settings starting with resolution. For those of you having issues with the PSO2.exe crashing on selecting a character, I have narrowed it down and have a possible solution that doesn’t require you needing to redo all of your settings. It looks like whatever is causing the issue, at least for me is either the item_name_cache.dat file, or the _version.ver file in the SEGA/PHANTASYSTARONLINE folder in My Documents. in your My Documents folder, rename the SEGA folder to something like SEGAOLD or SEGA2. Run the game so it creates a new SEGA folder. 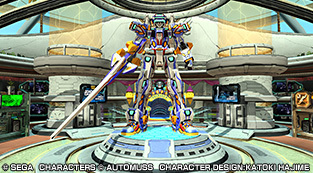 Exit the game then from your old folder copy over the user.pso2 file from the old folder to the new folder. It will restore your settings without causing the crash. From there you can also add back your symbol art folder, character save file, and screenshots. I hope this helps people even a little! Any idea when they are going to give away a free skill reset pass. I messed up my hunter class and I really need to fix it. I am going Braver/Hunter…. i kept on having pso2.exe not working T^T how can i fix it? Is this new patch supposed to be 240MB only? How come this goes over 2GB? This doesn’t make any sense? So the best way to get minimun fare of AC (Im not in spending mood). And get as much ragol memories possible would be to buy both a 60 and 90 days right? (60 + 90 + 5000 AC spent = 14 ragol memories). Also should I use the premiun sets or just buying them qualify? (Im not really into playing PSO2 mood all day because I’m into heavensward atm). That happens to me as well. I can log in, and get to character menu, but as soon as I pick a char and try to play the game crashes. If all else fails, try deleting the PSO2 folder in My Documents or wherever that now is. That fixed it for me – though you’ll probably want to backup your SAs and suchlike since they’re there too. Are Diabo Igrithys (In the new Limited quest for the client order) ultra rare? I was doing a few runs on N,H,VH and havent seen him, but he was in SH but it would take me a hour to kill it at Lv50. I got one in my… fifth? sixth? XH run, and didn’t even have to sacrifice farmyard animals to RNGesus for it. No idea about the lower diffs, but if you’re farming XH for the gold badges you oughta find one well before you’re done.